In May 2013 Iron Man 3 became the fifth top grossing film of all time and combined with the first two films in the series, worldwide ticket sales are in excess of $2 billion. Ramin Djawadi’s innovative and explosive score for the first film, in which heavy metal met orchestral, set the tone and the thunderous soundtrack template has continued with composers John Debney and Brian Tyler. 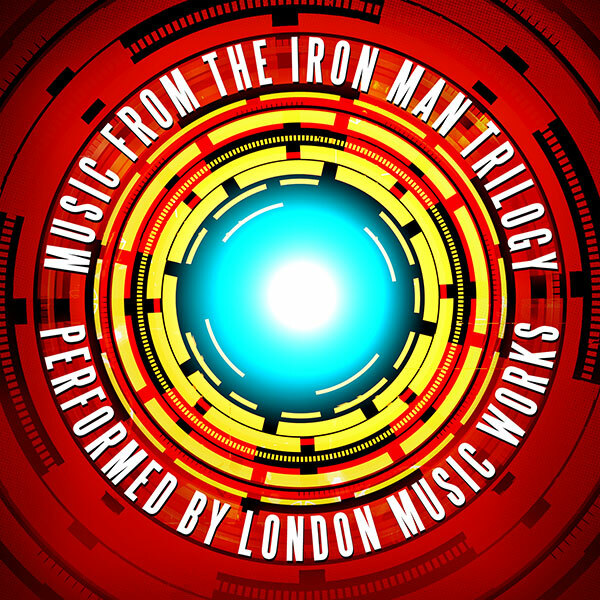 This unique release brings together newly recorded versions from London Music Works of five themes from each of the trio of films and includes landmark musical moments, Driving With The Top Down, I Am Iron Man and Can You Dig It (Iron Man 3 Main Titles).